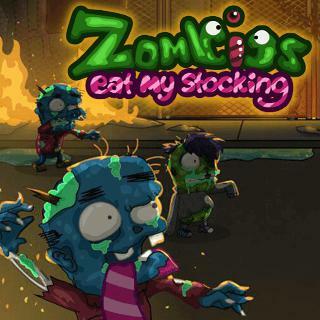 Play Zombies Eat My Stocking and more Arcade Games on Games1.com! Oh no! The Zombie Apocalypse has started and those evil creatures like nothing more than eating your...stockings! Defend yourself and your favorite socks against hordes of the undead. Pick up cool weapons, tend to your wounds with health kits and collect gold to upgrade your stats. Fight against powerful zombie bosses and score as many points as possible! Are you ready for the ultimate battle for survival?